PCTPE is a flexible nylon from the American manufacturer Taulman. Strong and durable, it’s also slightly flexible and finds its application in the medical and industrial fields. 450g spool. Imported from the USA, PCTPE ("Plasticised Copolyamide TPE") is an alloy of TPE (flexible) and nylon. The nylon gives its smooth and shiny slightly translucent aspect while the TPE adds flexibility and a degree of elasticity to printed parts. 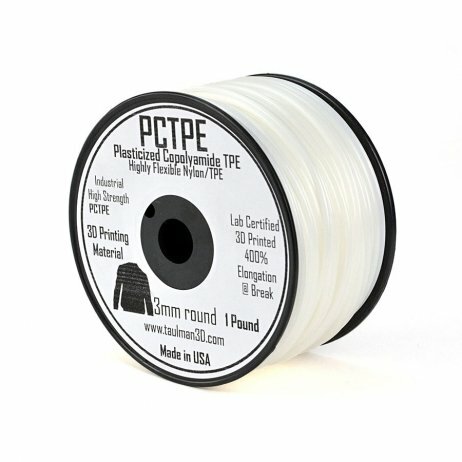 It’s possible to dye this filament with Rit dyes.